Providing opportunity for study groups — elementary, high school, college and university education — is a part of the ranch agenda. The video here is a presentation we assembled with our grandson, Oliver Nix Welke, for his third grade class in Seattle. The ranch has a five-member Science Advisory Committee, and there have been a number of papers and publications based on study here that are listed in the Writing and Publications section below. CONTACT: A.T. & Lucinda Cole, pitchforkranchnm@gmail.com | 575.574.8593. 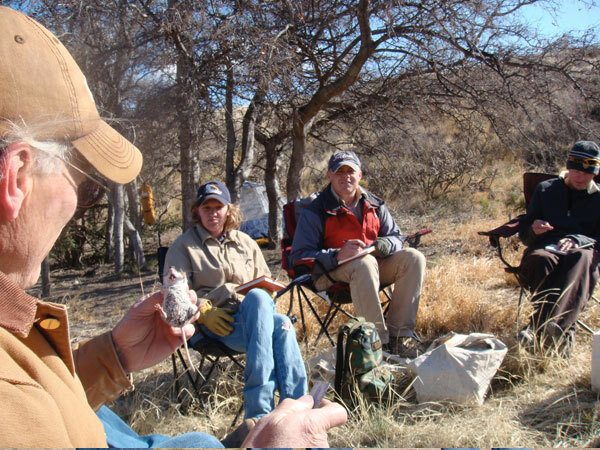 Dr. Randy Jennings and his Southern New Mexico University live trapped small mammals, 2008. 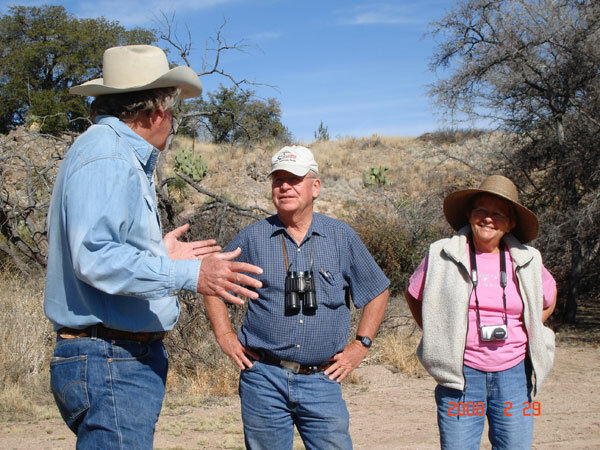 A.T. in discussion with doctors Carl and Jane Bock, members of the ranch’s science committee, 2008. 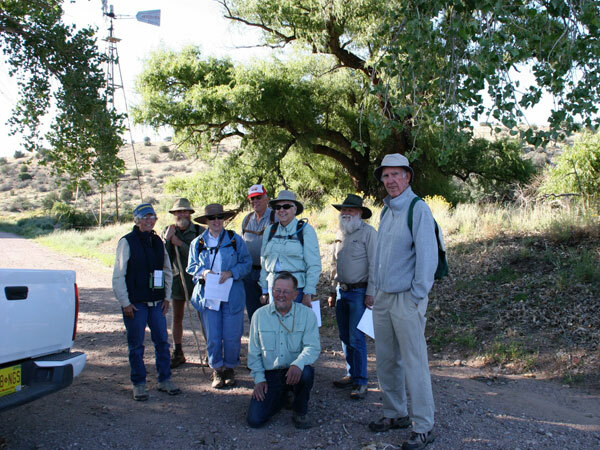 Southwest New Mexico Audubon Society, 2012. 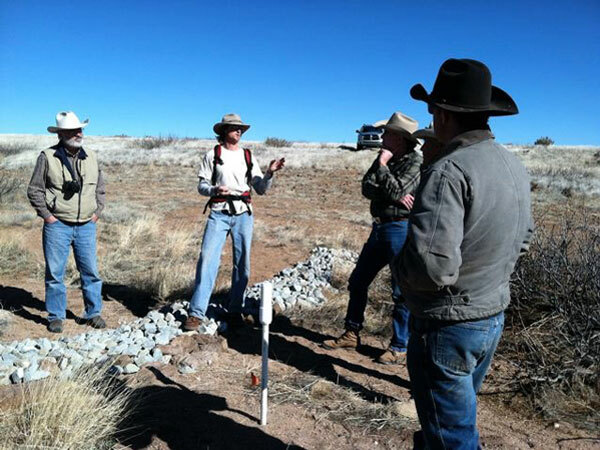 Joseph Franklin-Owens discusses grade control structures installed under supervision of The Nature Conservancy’s Karla Sartor with other TNC staff, 2012. 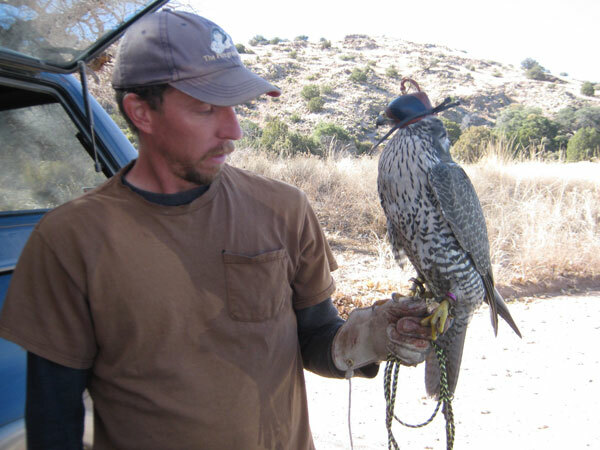 Paul W. Juergens of the Peregrine Fund, with his falcon, assisted with the introduction of the aplomado falcon on the ranch, 2009. 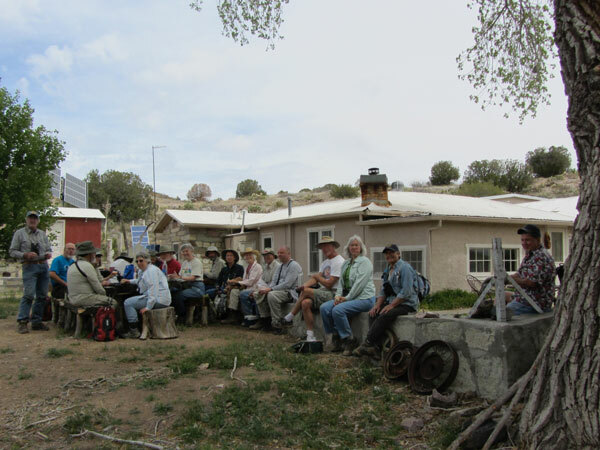 Gila Native Plant Society, 2009. 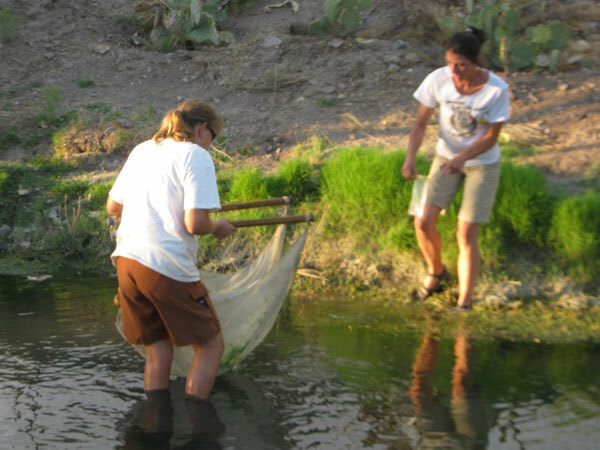 New Mexico Fish & Wildlife biologists inspect Gila topminnows, 2011. 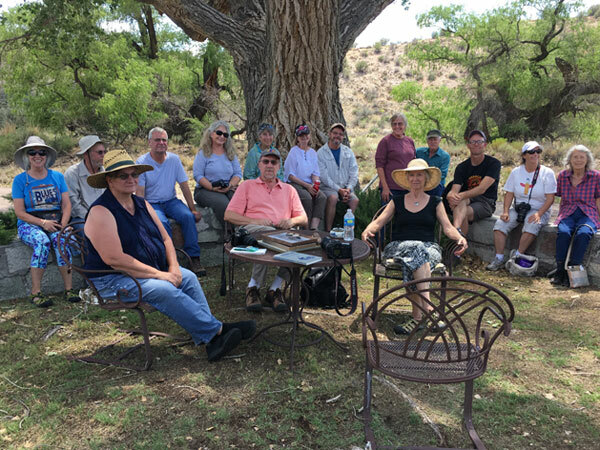 There have been an assortment of writings arising from living here or visits by scholars, students and writers with a connection to the Pitchfork Ranch. We have listed them generally in the sequence they were written, irrespective of publication. Kelly Mensah, "Partner’s Projects in the Southwest Region Improve Ranchers’ Land," August 31, 2010. 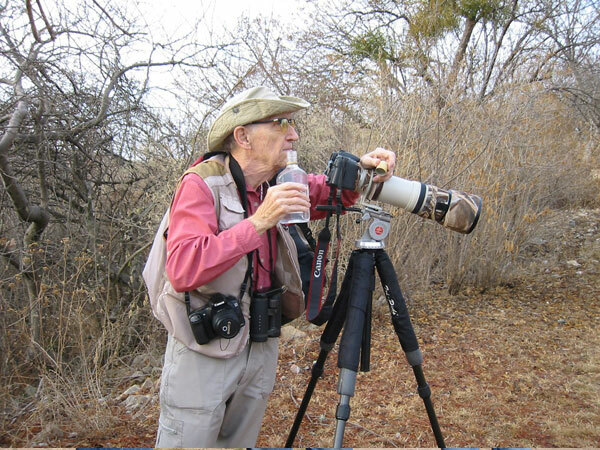 Victor W. Steinmann and Eugene Jercinovic, "Euphorbia rayturneri (Euphorbiaceae), a New Species from Southwestern New Mexico, United States," Novon, Volume 22, Number 4, 482, 2013. Eugene Jercinovic, Eurphorbia rayturneri (Ray Turner’s spurge), Euphorbia rayturneri (PDF) newmexicoflores.com/euphorbia_rayturneri.html, September 10, 2013. Cole and Helbock, YouTube: Aridland Ciénagas, 2014.